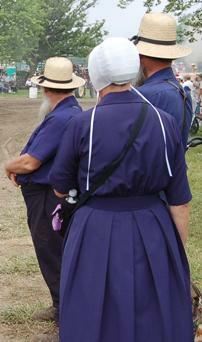 Amish communities are found across Michigan, from the southern counties to the Upper Peninsula. Amish operate businesses in most communities, ranging from furniture making to produce and quilts (read more on Michigan Amish furniture businesses, including products and contact info). Tourism in Michigan is centered in a few of the larger settlements. The Amish community at Centreville in St. Joseph County is the largest and oldest in Michigan. About 1,500 Amish live in this community, which was founded 100 years ago. Read more on the Centreville Amish community. River Country Tourism- A fairly comprehensive listing of Amish-run businesses in the Centreville/St. Joe County area, including discount and general stores, furniture makers, crafts, fabric and nurseries. Nottawa Fruit Farm-in addition to providing a wide array of fresh fruits and vegetables in season, including peaches, strawberries, watermelons, raspberries, tomatoes and corn, Nottawa Fruit Farm offers various events and activities, including hay rides, company picnics, and school trips. There are a number of places to stay in the Centreville community, from hotels to campsites. Most hotels are located in Three Rivers or Sturgis, in the proximity of the Amish community. Quincy in Branch County is home to a sizable Amish settlement. Along with Quincy, there are a number of other Amish communities in Branch County and in neighboring Hillsdale County. Read more on the Amish settlements in Branch and Hillsdale Counties. This Branch County site features numerous attractions and events in the Quincy and Coldwater areas. A wide array of Amish businesses can be found in the area, including bakeries, food and produce sellers, as well as harness shops and furniture makers. A few places to sleep can be found in Quincy, but more are located in neighboring Coldwater. The Amish community at Clare is home to about 500 Amish individuals. Despite its relatively small size, there are a number of attractions and businesses in the area, including a number of auctions occurring throughout the year. Yoder’s Amish auction-each year auctions are held at a local Amish farm, with up to 500 vendors and thousands of attendees. Yoder’s holds quilt auctions and craft shows on these dates, and furniture, tools and a variety of other items are for sale too. And food of course. Auctions are held in the spring (on the third Friday and Saturday in May) and late summer (on the Friday and Saturday of Labor Day weekend). Yoder’s also puts on a horse and equipment auction, which takes place 2 weeks before the quilt auction in the spring, and 2 weeks after in autumn. A number of hotels and motels can be found in Clare, as well as in nearby Farwell and Mount Pleasant. I would like to know where I can purchase smoked farmers sausage. I grew up in a Mennonite farming community in Saskatchewan and travel back there regularly and get farmers sausage from my cousin. However, I would to get some closer to home and I am wondering where I can get some here in Michigan. I would appreciate any help. I just purchased a beautiful hand woven rug made by Amish School Children of North Star, Michigan. I can find no information about this community or school online and would like to drop a thank you note to the children. Can you provide contact information? Thanks!! My name is Michael Fillmore and I am looking to hire an Amish carpenter to help me with a cedar deck. My father lived in Gladwin, MI. and passed away suddenly this fall. He had orignally contracted with a local Amish caprenter to build his cedar deck and gazebo. I need some repairs done along with power-washing and staining of the said deck and would like to get it done prior to another winter on the deck and gazebo. Please feel free to contact me at (734) 260-9043 if you know of someone who is honest, hardworking and available to assist me. I would like to install indoor propane lights in my cabin in Cadillac and wondered if there’s a supply store anywhere near there or near US 131 from Grand Rapids to Cadillac. is about 15 miles from Cadillac. This is one store that sells propane lights; there may also be others. I read your post to my son, Mark. He said that Alfred Gingerich is the bishop in the Manton, Michigan community. If you contacted him he could probably spread the word through his community. thank you so much for the assistance, how would I get in touch with him? Thanks. How would I make contact Mr. Gingerich? Jim and Mary, I don’t know if Don or Mark have the details, but since a lot of Amish operate business entities a Google search will probably find you some kind of contact address or number. I am looking for an Amish business that could install metal roofing on my home located in the Brighton, MI area, can you help? Mary, perhaps you could inquire with the Amish at Charlotte, Michigan, or Quincy, Michigan, or Homer, Michigan. thanks Linda, Actually Charlotte is closest to me, but I have no idea how to contact anyone. Could someone please contact me as to where I might find some Amish butter, or home grown food products to the nearest location for me. I live in the U.P. of Michigan is there anywhere in my area? I saw something in Engidine but it didn’t say if they sold any of their goods or where I might find some. We have two barns that are 175+ years old in need if repair and painting. I am seeking an Amish group to work on these barns. We live in Lowell, Mich. Looking for Amish Families that host meals for tour groups. On September 1 our group will be in the Coldwater area and I would like am Amish meal served to 106 passengers. 1) Call Chupp’s Herbs and Fabrics at 269-659-3950 and see if they know of any Amish families that serve group meals in their home. Chupps is at Burr Oak, Michigan, about 15 miles from Coldwater. 2) The Shipshewana/Lagrange County Indiana Visitors Guide lists six Amish homes in that area who serve group meals in their homes. Call the Shipshewana/Lagrange County Visitor’s Center at 800-254-8090 if you would like further information. That area would be about 30 miles from Coldwater. I have been to two Amish homes for group meals, and each time it was a very enjoyable experience and the food was delicious! There is a gentleman that I know of who does host Amish thrasher dinners in Middlebury IN. It’s about an hour from where you’re requesting. I have an unused traditional electric pumped well on my property– last used in 2014– would like to convert it to a manually pumped water well. It is a deep well with static water level deeper than 25ft. I would like the type of hand pump typically used on Amish farms and cannot find an installer in the well drilling/pump repair industry who is interested in this “small job”. We have had an amish man and his sons add an addition to our home in Ohio. We were very impressed with the craftsmanship and would like to see if there is any amish builders that could add an addition on to our lake home in Jerome, Michigan in Hillsdale county. Any information would be greatly appreciated. I am putting together a book about Barry county Michigan and would like to include the Amish that reside in Barry county in that book. I don’t have a clue who to contact, how to contact and where to contact them. I basically would like to interview someone from their community, take photo’s of their farming equipment, buggies, workshops, baked goods, quilts, etc. I have driven through the area where they live, but have never approached anyone about this. I just don’t know what their “feelings” are toward “outsiders”. I don’t know if they still do not allow photo’s of people. Could someone please contact me on how to go about this? It is very important to me. Hi all..lived in Ohio for many years near Kidron, but now live in Okemos, Michigan ….I’m looking for a team of say 3 0r 4 guys,to make and set forms and pour a curved concrete sidewalk, about 3 feet wide X 33 feet long…also need to tear out an existing wooden steeps and build new formed concrete or brick steps…can supply the concrete mixed on site ( Beck Mobile Concrete truck )or bags…will pay driver fees and will pay promptly upon completion of work, estimate 2-3 days needed.. .if able to book me in for this work please reply…home phone number is 517-347-6172..thank you…. 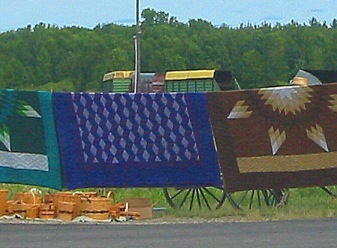 There is an Amish pallet mill around the McBain Michigan area. I was wondering if there is a place like that near Detroit. We are looking to get a couple bundles to do home improvement with the boards. Hope there is a closer place. If you want to take a good deal from this piece of writing then you have to apply these techniques to your won blog. 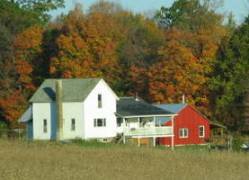 I’m looking for Amish builders to add about 1000 sq ft addition on our house in Comstock Park, Mi. which is just north of Grand Rapids. If you know someone please contact me at 269-207-7866. We need everything done (inside and out). Please let me know. We are pretty desperate to get this done ASAP so we can move in. Thanks everyone!! To visit Amish community at Michigan. how to visit an Amish community?